I had some happy mail this past weekend! 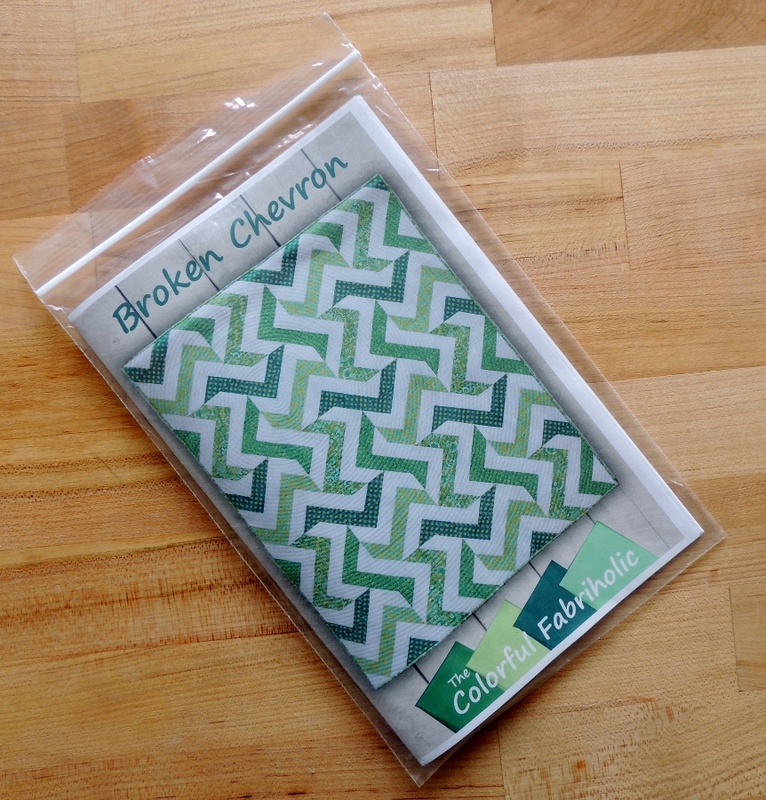 Jan @The Colorful Fabriholic recently published her pattern “Broken Chevron” and I was a lucky winner in a drawing on her blog to receive a copy of the pattern. It is always fun to find fabric and supplies in the mail, and I am thankful for this fun surprise! I would also like to thank everyone who has been supportive of my Tessellated Leaves pattern release and blog hop so far this week; I appreciate it so much! Link up any blog post the past week that discusses something that you are thankful for, no matter how big or small (Did you win a giveaway? Did your seam ripper save the day? Did a friend do something simple and kind that made your day?). To link an Instagram photo, click the Instagram icon at the bottom of the link-up screen, and use the URL of your IG feed as the link (for example, my URL is http://www.instagram.com/quiltingjetgirl). Please hashtag #ThankfulThursday. If you are linking to a blog post, please link back here to my blog somewhere in your post. Comment on at least a few of the other Thankful Thursday links, either IG or blog—commenting on the two or three links directly before yours works well to make sure everyone gets comments! that looks like a great pattern. I am off to check it out. Not that I need another project to add to the list…. Glad you like the Broken Chevron pattern. Thanks for the shout-out! I am so grateful for my friends and their support. TWO great patterns! Yours and the broken chevron! Today I am thankful for the excellence of the modern medical system. Thank goodness the days of trepanning and miasmas are behind us. Thank you, Carla. Modern medicine is rather amazing! Thanks, Christine. It has been fun for me to host the hop this week! That broken chevron pattern is really cool!! I’m not really a chevron fan, but broken…. It’s totally cool! Congrats on winning. And your blog hop is fun as ever. I’m wishing I had more time so that I could test more significant patterns, too. Lovely variations so far! As for Thankful Thursday, I’m thankful for self-threading needles!!! Three hours of knotting and burying thread ends would have been tripled if I’d had to actually thread each time I buried an end!! Thank you for following along in my blog hop. Self threading needles are so cool! This week I am thankful for my students, they always know how to make me smile and have a great time. It’s amazing walking into work tired and sour and leaving with a huge smile on my face :). I love that pattern you won! Do you have some fabrics in mind for that one? I don’t have a plan for the pattern just yet. I am sure I will figure something out, though! Ack! I got so busy last week I never even got to post, meaning I missed Thankful Thursday! I am loving the broken chevrons pattern and Congratulations on the win! You deserve it!